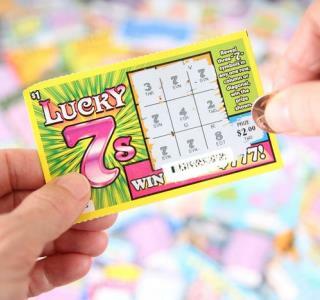 (Newser) – A Massachusetts man busted for speeding had a pretty good excuse when he was pulled over: He had just won a big lottery prize and was on his way to collect his cash. It turns out yesterday was 22-year-old Scott Lowe's lucky day in more ways than one, because the officer who pulled him over in Hingham simply issued a verbal warning and urged him to drive safely. The best one I've heard is from a state trooper. He says he stops a man for going 90 in a 70. He asks the man why the hurry and the man replies, "My mother in law has visited me for a week. She's in the back seat now. I'm taking her home and got in a hurry." The trooper looks in the back seat and see this women who looks like Imogene Coca from, "Vacation." He pats the driver on the back, and nicely says, "Be on your way sir, quickly." Kool, that's a nice story, (it's nice being white). dumbazz kid $50,000 or about $15,000 after taxes aint worth it. cop was dumbazz also. no ticket but no drive till he could chill out a bit more! better yet pay someone to drive you there!